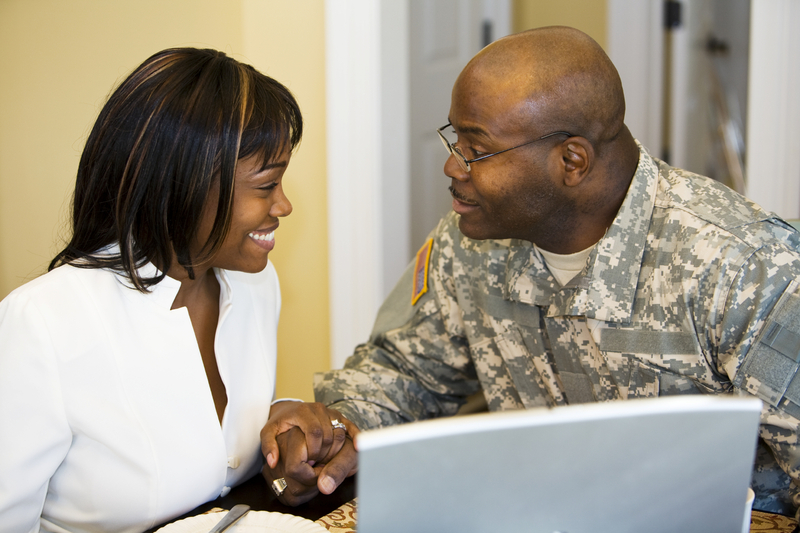 When a spouse is deployed, there are problems big and small that the at-home spouse faces. Whether it’s the kids and school, the pet who needs attention, or personal health problems, the list is endless. Wouldn’t it be nice for a few of the small inconveniences to be handled straight from your phone? A quick call or app could save time and plenty of aggravation. Pizza delivery, mobile dog grooming, and dry cleaning pick-up are services that come directly to your house, and we love them. We even depend on a Friday night pizza party, but they are standards in the home delivery world now. Home delivery services have grown, and during a deployment period, it’s a fantastic time to take advantage of the options. A few of these services might be new to you. 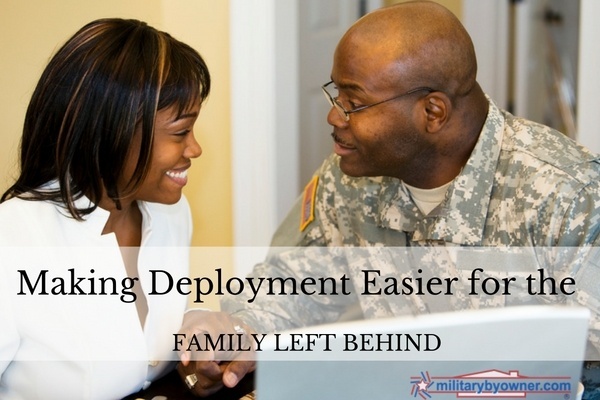 Read on, because they could add a few moments of peace to your deployment life. Remember when Starbucks started drive-throughs?! Giant and Safeway are national chains that use their own delivery services, as do some of the local or regional chains, but a general delivery service, Instacart is taking over grocery delivery in a great way and their service areas are growing rapidly. Promising delivery in an hour from their hired personal shoppers, the stores they frequent are all your favorites: Costco, Whole Foods, Harris Teeter, Publix and more. The store brands are not affiliated with Instacart, so the options are plentiful. Instacart recommends browsing the stores in your area with a zip code search to make a match. Delivery fees apply and tips are how the personal shoppers make a portion of their income. Tip: Military spouses looking for a part-time job and extra spending money might want to look into working for Instacart. Kid favorite Panera Bread now delivers in some of their markets. Parent favorite and must have, Starbucks, is now implementing their Green Apron delivery service. Starting with the Empire State Building, the company plans to conquer the coffee delivery world in no time. Don’t worry Starbucks haters, Dunkin’ Donuts is piloting their delivery program as is McDonalds and Chipotle. If you can’t wait for your favorite fast food to deliver on their own, meet Grubhub. It’s the Instacart equivalent of mass restaurant food delivery. Grubhub is also quickly growing, so keep an eye on delivery in your town. Fast food isn’t the answer every day, of course, but for the people who hate to cook, like me, (especially when my husband is away) maybe the answer is fresh food in a box delivered to your door. Hello Fresh and Blue Apron are two of the most recognized companies who send healthy and easy meals to prepare. Tip: Hey milspouses who love to cook--want to make a few bucks? Triple that revered lasagna recipe and post to a few friends that you have extra homemade lasagna ready or frozen. Watch how many orders you get. I’ve seen it happen, and those extra meals blossomed into a transferable and viable business for my military friend. Who could live this military life without Amazon? It’s the granddaddy of everything beautiful that is deliverable. But are you making the most of your membership? Amazon offers three programs that make home delivery your best friend. AmazonFresh is their version of grocery delivery in select areas, and Amazon Pantry will send all the necessities like toothpaste and toilet paper. They even offer their own coupons and a subscription feature so you’ll never forget dog food again. Last but certainly not least, is Amazon Wine. This program offers quantity discounts and potential 1 cent shipping. Hold on though, individual states get picky about if it’s legal to ship alcohol, so to avoid major disappointment, make checking availability in your state the first step before diving into all of the varietals. Tip: You may have also seen how drones are making a statement in home delivery services. Both Amazon and 7-Eleven are leading the way for driverless delivery to your backyard or doorstep. Walmart fans will be thrilled to know the company is also testing delivery through driving services such as Uber and Lyft to bring any forgotten item to your home in a hurry. I’d expect to see this service roll out quickly to keep up with Amazon’s delivery pace. Not quite delivery, but better than hauling sick kids into the store, CVS introduced CVS Express. The curbside pickup is headed for a nationwide presence and as of now only offers over-the-counter products, but you can get prescriptions through the drive-through anyway. Target, Walmart, and Sears all have versions of curbside pickups. One of the worst parts of a deployment for me was car maintenance. I HATED spending precious time waiting and waiting either at home or at the dealer’s service area. I especially hated to inconvenience a friend to drop off or pick up. They won’t offer, so inquire, but dealers have the ability to send a valet to take your car and leave a loaner in its place. This will be more likely if it’s a multi-day service schedule. In the very least, however, a shuttle service should be available to pick you up and drive you home. Recently, I saw a neighbor had a mobile tire installation company in her driveway. Instead of the headache of waiting for new tires, she had them changed at home--avoiding taking her newborn to a service center or dirty garage. This type of service-at-home industry is growing and it seems to be a regionally based outfit, but there are many companies who do provide tire changes at home. A cracked or dinged windshield can drive you crazy, but it’s never convenient to drop the car off for repairs, Don’t forget USAA partner Safelite Auto Glass will come to your address to change or fix the glass. I know it’s tough to find services like these in the small, sometimes unfortunate places the military sends us. Here’s an idea. Military spouses frequently look for a way to earn extra money on a flexible schedule. If paying for any of these professional delivery services makes you squirm a little, consider using a local Facebook page or an app like Nextdoor to offer to pay a milspouse (who knows the commissary better? ), a retiree, or driving military kid looking to make some cash. It would be amazing if there were delivery service from your closest military pharmacy, commissary, or Exchange. Speaking of which, MilitaryByOwner is all about convenience when it comes to advertising your home. Patient and knowledgeable customer service agents are awaiting your call!